Yesterday, Sunday, was pretty much a day off – from touring and from blogging. In the morning we attended a Marriott Vacation Club pitch. It actually seems like a pretty good deal and at a different time of our life, when generally we were only taking 2-week vacations, it might have been of real interest to us. If anyone is looking for a timeshare type of arrangement it is worth looking in to. In any event we weren’t buying but attending the presentation earned us a $200 Marriott credit so that will help pay the hotel bill. Dinner was at Tommy Bahama’s on El Paseo. Dinner was very good and the tables weren’t jammed together so that you felt like you were sitting in your neighbour’s lap, as was the case at the Cork Tree the other night. I would definitely recommend Tommy Bahama’s. 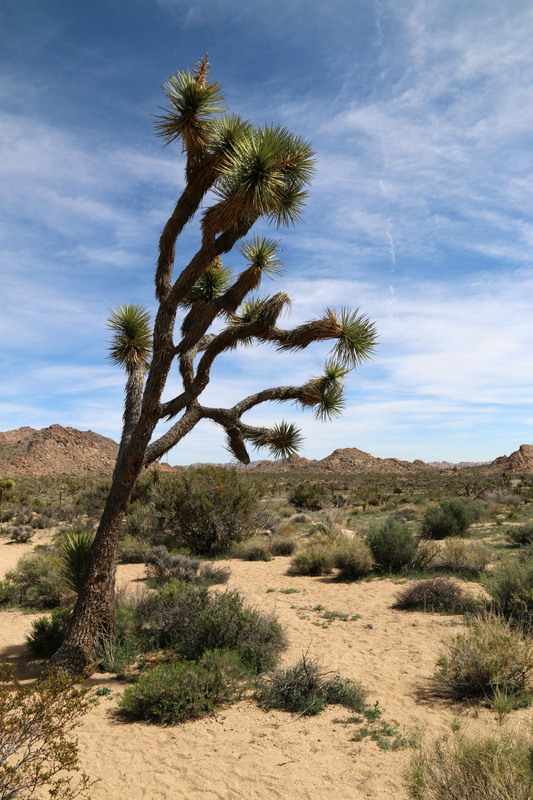 Today our excursion was to Joshua Tree National Park. We arrived at the Visitor Center just before noon to get some suggestion as to what to see with only a few hours to spend in the park. Across the road was a bar that looked a little sketchy but we decided to check it out for lunch. If nothing else the place looked like it might have some character. 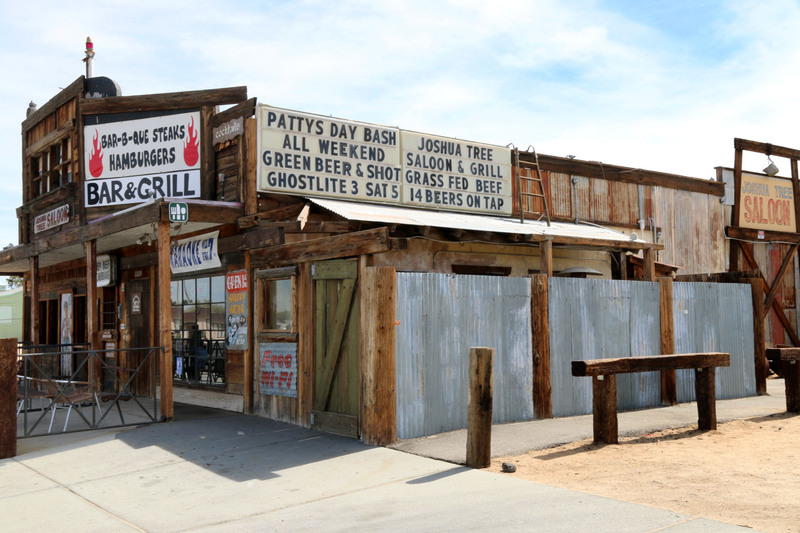 It turns out that the Joshua Tree Saloon is actually a pretty decent lunch stop. I’d absolutely go back again! 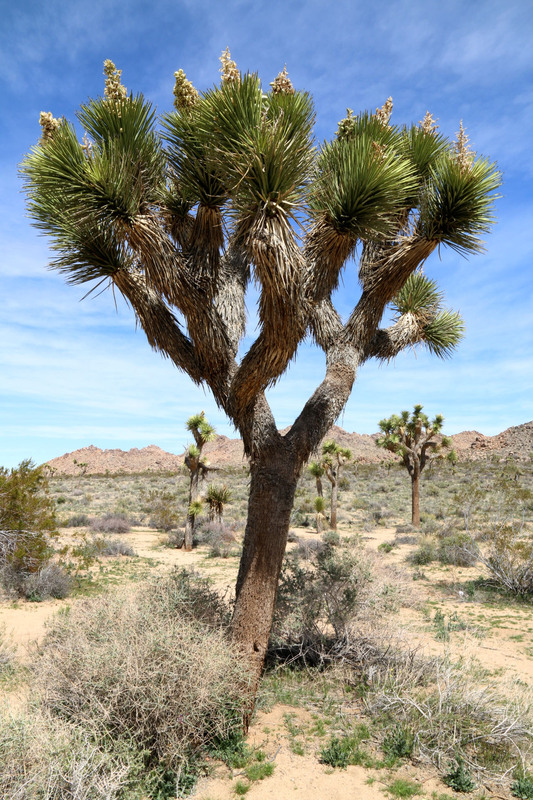 The Mojave Desert is home to the amazing looking Joshua Tree, which is actually a member of the Yucca family and is not a tree. They grow into wild and varied shapes. Virtually every plant is a different shape. They are like the snowflakes of trees. The national park landscape changes constantly. 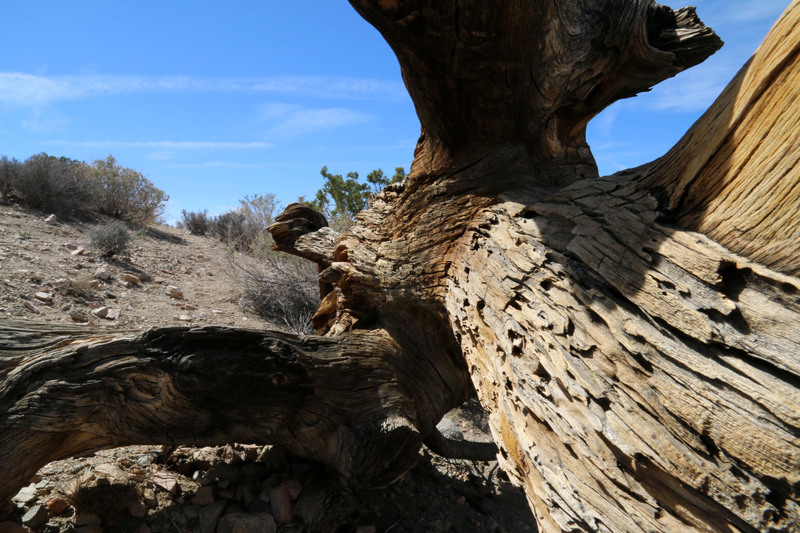 At one point you are driving through “forests” of Josua Trees and strange rock formations set against a mountain backdrop. A little further the vista changes to a flat plain that seems to stretch forever. 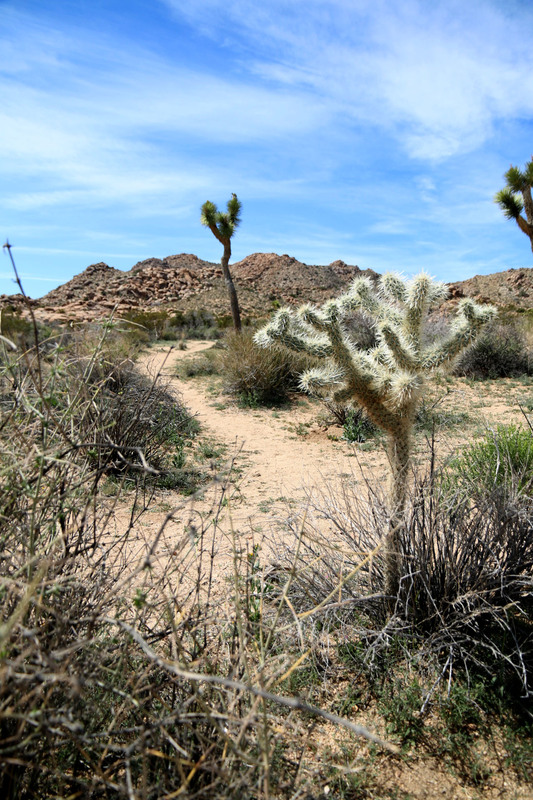 Then you are back in mountains, descending into the valley where you find the Cholla Cactus Garden. 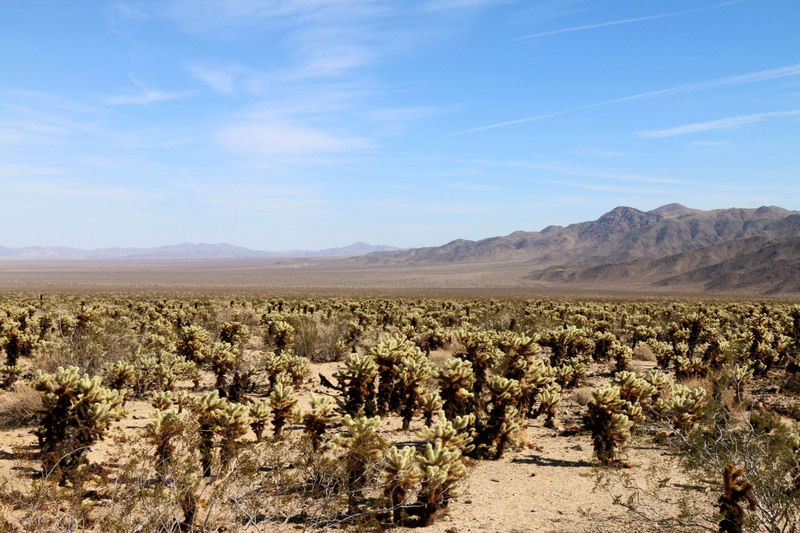 Here the Cholla cacti stretch to the horizon. 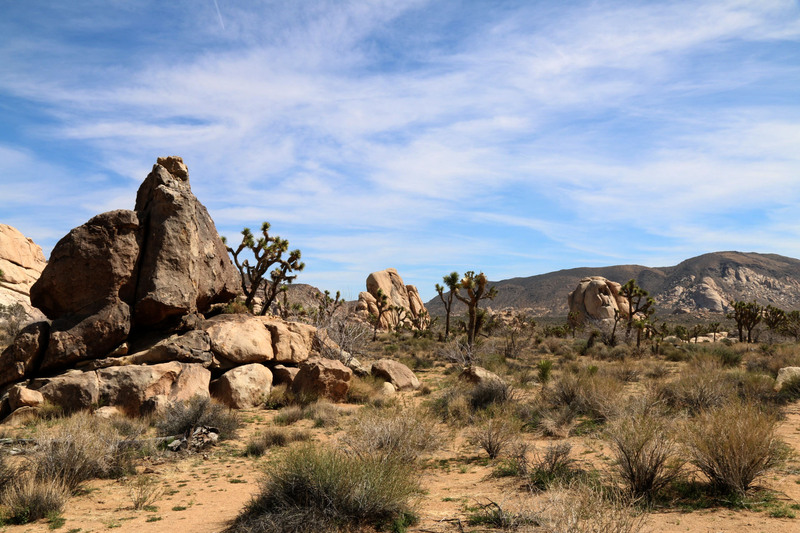 Joshua Tree National Park is truly a photographer’s paradise. I will TOTALLY be returning! Back in Palm Desert we opted for Mexican Food for dinner. Los Pepes turned out to be a great choice. 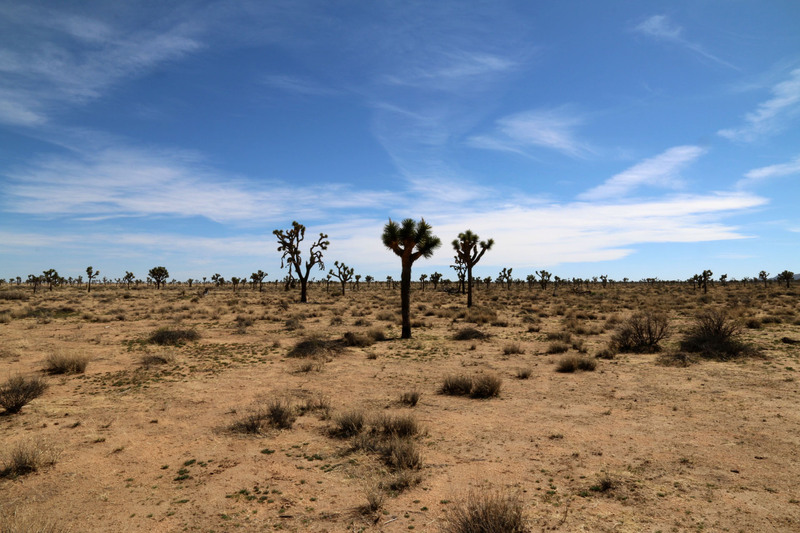 Today’s visit to Joshua Tree National Park was definitely a highlight of our trip. 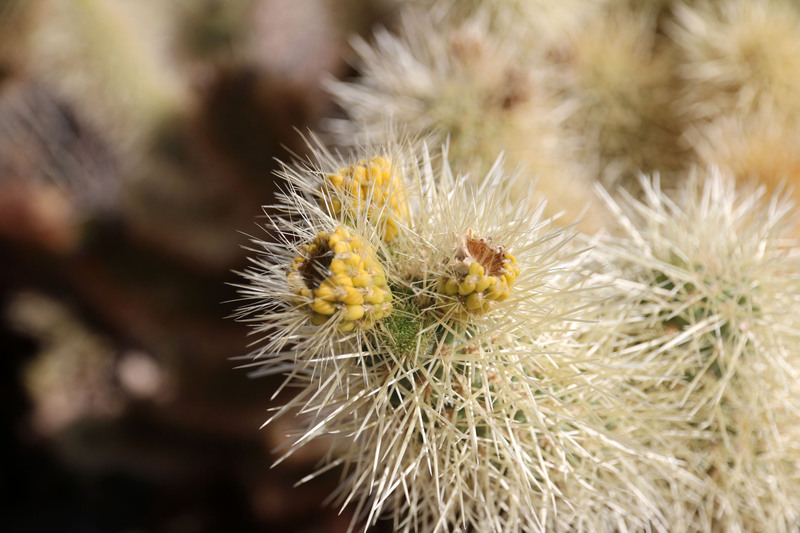 This entry was posted in Photography, Travel and tagged Cholla cactus, Joshua Tree, Joshua Tree National Park, Palm Desert, photography. Bookmark the permalink.